We have been making lots of Dr. Seuss goodies around here lately and thought we would share this one with all of you. Horton Hatches the Egg is my 5 year olds favorite Dr. Seuss book. 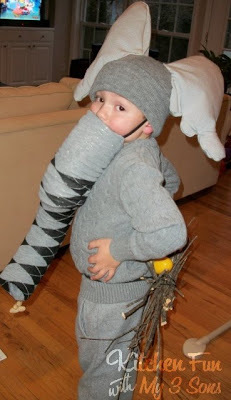 When he was in pre-k last year they had a Dr. Seuss parade and wanted the kids to find things around the house to dress up like their favorite character. He just had to pick a hard one and chose Horton Hatches the Egg. I was hoping he would go with something easy like Cat in the Hat..Thing 1…Thing 2…but we ended up pulling it off. 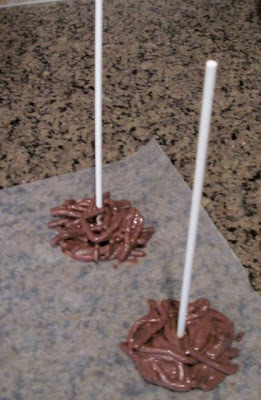 We thought that making Horton pops would be fun and cute to celebrate the birthday of Dr. Seuss on March 2nd! All we used to make these were marshmallows, chow mein noodles, white cookie frosting, edible marker, chocolate, & lollipop sticks. Draw the face on the large marshmallow with black edible marker. Cut 1 square marshmallow in half and cut around the halves to shape the ears with kitchen scissors. These work out great for cutting…doesn’t get all sticky! 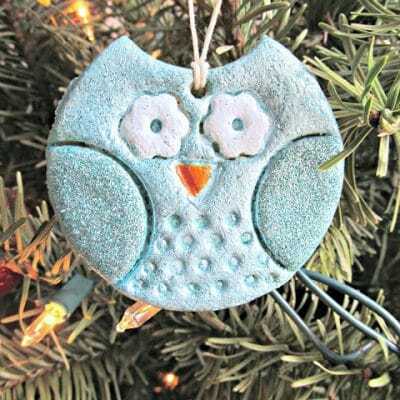 Take another square marshmallow and cut off a strip from the side to make the trunk. Cut at a angle on the end so you can attach it at a angle. Take 2 marshmallows and attach them with cookie frosting. Make two of them for the legs/feet. Make the details with the marker. 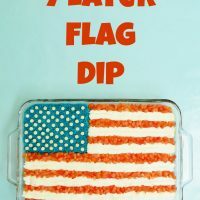 Attach everything on with cookie frosting and let dry. Take out the stick from the nest and flip it over. Poke it back through and press on the marshmallow body and head to secure. Put a little bit of melted chocolate around the bottom of the nest and stick to make sure it does not slide down. We just love Dr. Seuss books and had a lot of fun making these and the rest of our Dr. Seuss goodies. We hope that you like them too! 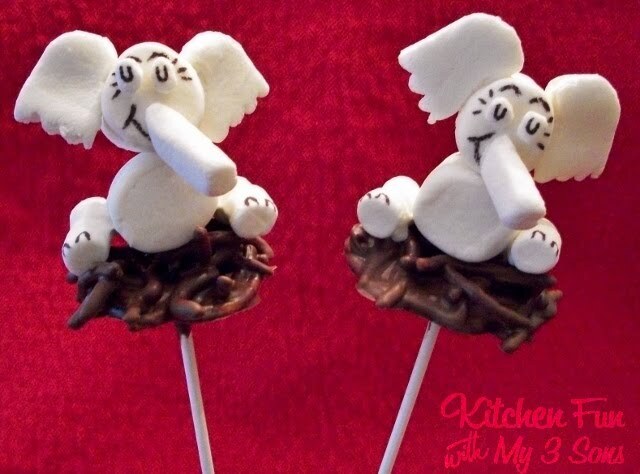 These Horton Marshmallow Pops are fabulous! Very creative! 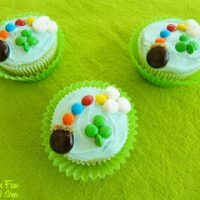 If you are interested, I would love to have you post a link to this post on my blog to help us celebrate Dr. Seuss's birthday! Those are amazing. They are so creative and you're a total artist. Love these! The Horton treats are the cutest! Just adorable! So happy to stop by and enjoy this post! I love these! Marshmellow pops are so much fun. ADORABLE! Even though my kids are all teenagers now, we may still have green eggs and ham for dinner on March 2. 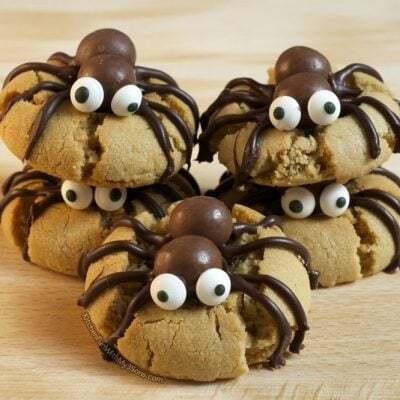 These would make a great dessert! Thanks. Great job! Horton is tough and you got the detail perfect! Love all the Seuss stuff around this time! These are so incredibly cute!!! Great job! Horton is absolutely adorable! I am trying to figure out a Dr. Seuss lunch for my kiddo. I love your Dr. Seuss ideas! 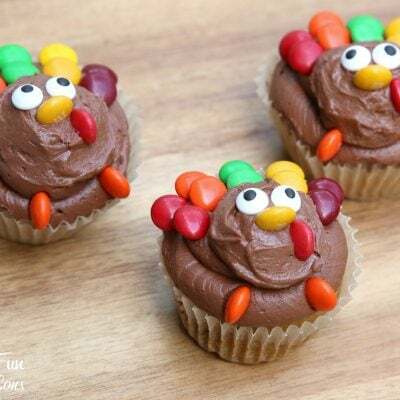 These are so well done and totally adorable. These are absolutely adorable and so is the costume. 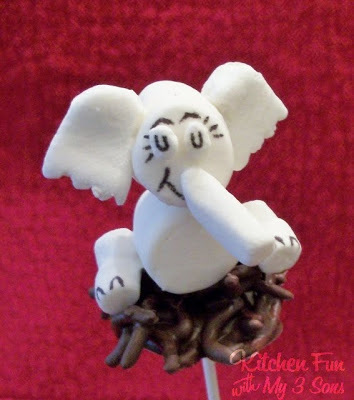 What a fun idea for marshmallow pops. I love the nest. Amazing! So fun, so cute. I'm trying to figure out what you used for the trunk in your costume?? Great job all the way around Jill. I'm adding these to my Dr. Seuss post going up this week. Thanks!!! 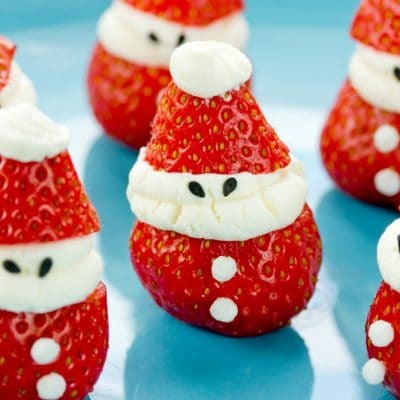 Cutest Dr. Seuss snack ever! You are so creative. Love these. You are so talented!! Cutest snack ever!! 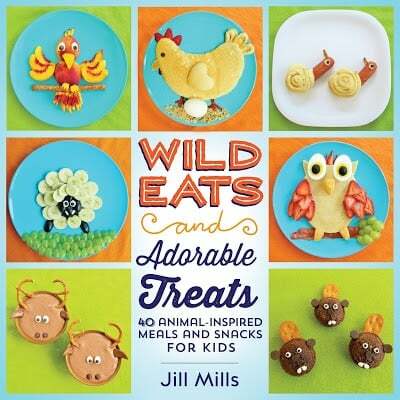 You'll need to make a photo book of all your foodie creations! I love Horton Hatches the Egg. These are so adorable. 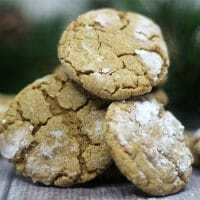 I'd love it if you stopped by my monthly link up to share these along with anything else you would like to share. 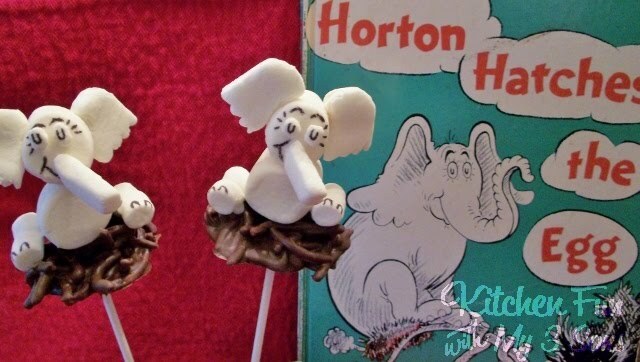 I love Horton – awesome pops! I really like those horton hatches egg pop marshmallows. I think that many nieces would love that creative marshmallows. I also love to have those horton marshmallows. Love everything about this post. The nest part of the costume is genius. 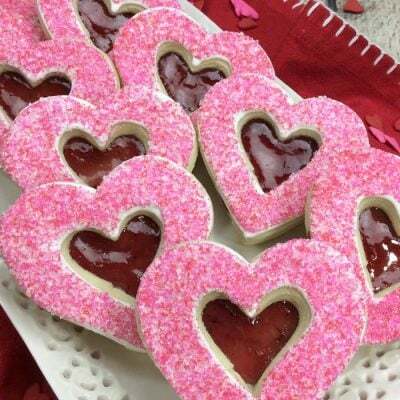 Love your ideas — always so cute and clever! And it takes talent to get that cute face drawn on a marshmallow! I would love it if you would consider linking some of your posts with Busy Monday (open each week Monday through Thursdays) at A Pinch of Joy, a linky party for ideas that make life better, easier and more fun! These are AMAZING!! How do you come up with this stuff?!?! I featured these at TGIF this week (http://livinglifeintentionally.blogspot.com/2012/03/tgif-linky-party-19.html) Thanks for linking up & sharing your creativity with all of us!! Looking forward to seeing what you link up this week!! Ummm…this is THE cutest thing ever! Those are absolutely adorable!!! I love how you made the nest under him too (the pops and your son:-) Thank you so much for sharing on Trick or Treat Tuesday!!! So so cute! Just pinned this! 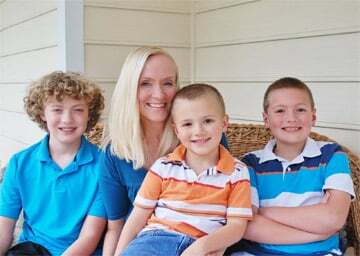 Thanks so much for sharing on Mom On Timeout! You're being featured tonight – thanks for sharing!